OBM waste management is necessary for drilling rigsite environmental protection. It may revolved in vertical cuttings dryer, decanter centrifuge, thermal desorption unit etc. We have provided over 20 sets OBM waste management system to overseas market and domestic market. The working performance of GN OBM waste management system win high praise from clients and they give repeat order to GN Solids Control. 1) 2 sets High G dryer, GN high G dryer is replacement for Derrick High G dryer, working performance is similar and price is better. The 2 sets High G dryer will collect the waste discharge from shaker. After treated by High G dryer, the liquid mud go to centrifuge to lower down the mud weight, and then go back to mud tank system for drilling use. 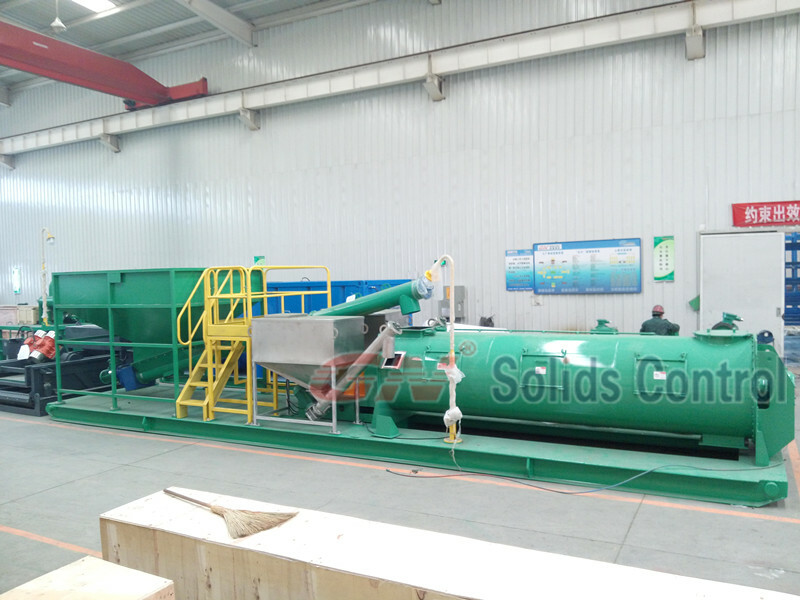 The solidification unit will accept the solid mud come from the shaker solids discharge and centrifuge solids discharge. When operating the solidification unit, cement / lime will be added to fix the mud in a form of more stable. Finally, the dry mud solids can be storage in a dig cement pit. 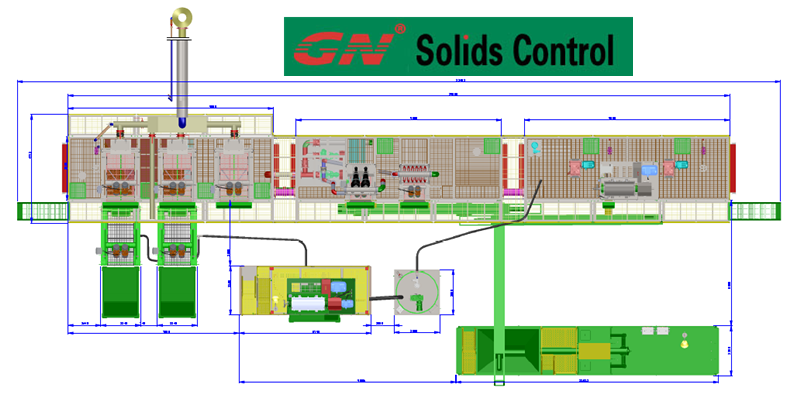 GN Solids Control just provides one set solidification unit for Halliburton project in Africa. The client bought it from us directly and provides service for Halliburton. We will update to new inquiry with more jobsite information of Solidification unit working for Halliburton project.